People can shoot very good photos with their iPhone, and they are able to take pictures anytime they want. Many iPhone users also want to transfer photos from iPhone to iPad so that they are able to make a copy of these photos and can view the photos on a bigger screen. The photo transfer from iPhone to iPad can be easy and fast, and it also can be interesting. If you want to know the methods and tips about how to transfer photos from iPhone to iPad, you can check the following post out. 1. 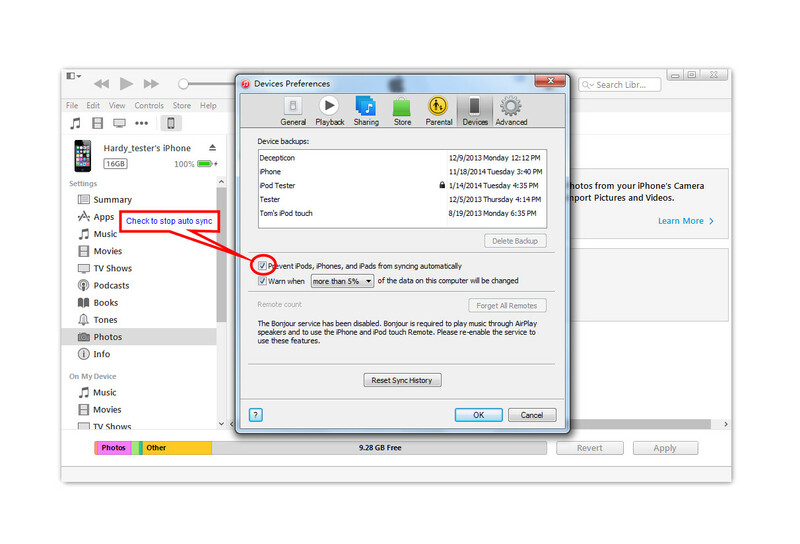 Disable auto sync in iTunes and connect iPhone to computer with the USB cable. The computer will recognize your iPhone as a digital camera. Double click the iPhone in “Computer”, and open the folder in iPhone. Then you’ll find the photos in your Camera Roll, and are able to copy them to your computer. 2. Disconnect iPhone and plug iPad into computer. Start iTunes and the app will recognize your device. Click the iPad icon and choose “Photos” in the summary panel. 3. 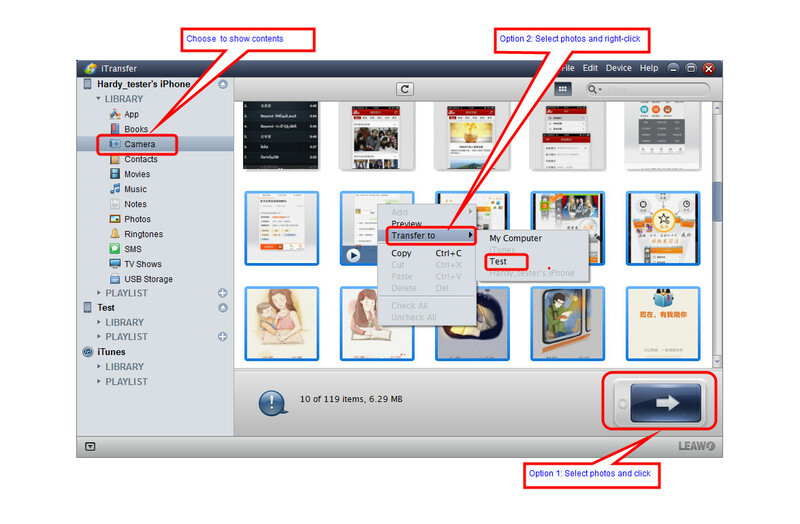 Check “Sync Photos from (your folder)”, and select “Selected folders/All folders” below. Then you can choose the photos you have copied from iPhone to your computer. 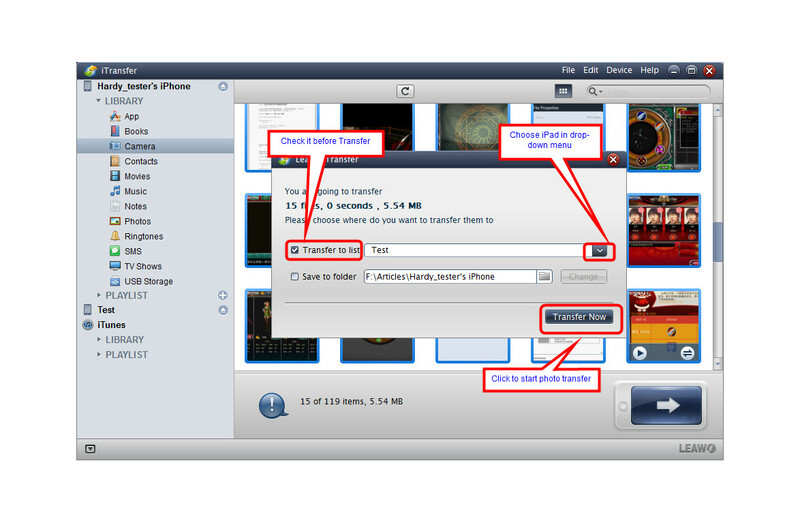 Click “Apply” at the right bottom of iTunes, and then the app will start transferring photos from computer to iPad. After the syncing process, you’ll get the photos in your iPad Photo Library. These synced photos are saved in your iPad undeletable, so you don’t have to worry about losing these photos anymore. The synced photos in your iPad can be erased next time when you sync the iPad with iTunes. If you have updated to latest iOS 8, then you might not see Camera Roll in your iPhone, but get an album tiled “All Photos”. At this moment, you should disable iCloud Photo Library by tapping Settings > iCloud > Photos, and then turn iCloud Photo Library to OFF. Shut down auto sync of iTunes to keep your iPhone and iPad data safe. To achieve that goal, you just need to go to “Edit > Preferences (iTunes on Mac) > Devices”, and check “Prevent iPods, iPhones and iPads from syncing automatically”. The photos saved in your iPad Photo Library will be erased during the sync. So please make sure that the photos are also copied to the folder which you save the Camera Roll photos before the sync. The sync of iPad Photo Library won’t mess up your Camera Roll or other data in your iPad Library. Never disconnect your iPad before the syncing process finishes. There you go. Transferring photos from iPhone to iPad is easy and convenient with your computer and iTunes. Besides using iTunes, you can also take advantage of the third-party iPhone transfer software which allows you to copy photos from iPhone to iPad directly without losing the photos in your iPad Photo Library. 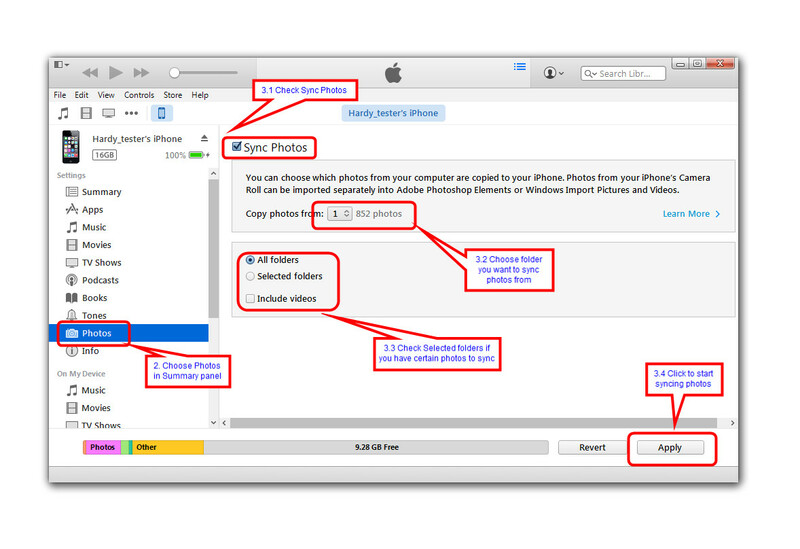 People can make full use of iPhone transfer software to sync photos from iPhone to iPad. Hundreds of transfer programs can be found on the Internet, and among these programs, Leawo iTransfer is regarded as one of the best. The software enables users to transfer files among iOS devices, iTunes and computers, and it allows users to copy files from one iOS device to another without the sync of iTunes. When it comes to transferring photos from iPhone to iPad, Leawo iTransfer can be a good choice. Step 1. Connect iPhone and iPad to computer with USB cable. Step 2. Select iPhone Photos to Transfer. Step 3. Check “Transfer to List: iPad” and click “Transfer Now”. Without iTunes or third-party iPhone transfer software, can you transfer pictures from iPhone to iPad? The answer is positive. iPhone users still have several other helpful solutions to accomplish the photo transfer. With the email app in your iPhone, you are able to send photos from iPhone to iPad. You need to select the photo you want to transfer, and click the share button at the left bottom. Then tap Next at the upper right corner and you can choose Mail app to send the photo. You will jump to the Mail app in your iPhone, and now you can send yourself an email. Then you can open the email on your iPad, and download the photo to your iPad. So emailing photo with the mail app is helpful for sending one photo from iPhone to iPad, and if you have multiple photos to transfer, you will need to find a new method. If you have enabled Photo Stream on your iPhone and iPad, you are able to get the iPhone photos in your iPad Photo Stream as well. To enable Photo Stream on iPhone and iPad, you only need to tap Settings > iCloud > Photos > My Photo Stream, and tap the button to ON. Then you can have the iPhone photos in your iPad. 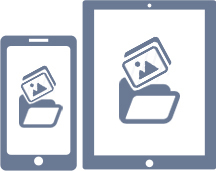 Note that the photos in Photo Stream can only be saved for 30 days, so you should download the photos to your iPad manually if you want to keep the photos on your iPad permanently. After iOS 8.1, iPhone and iPad users are able to use iCloud Photo Library to send photos from iPhone to iPad. The photos can be uploaded to iCloud Photo Library after you enable the service by tapping Settings > iCloud > Photos > iCloud Photo Library. The photos will be uploaded to iCloud when your iPhone is connected to Wi-Fi and your device is in charge. The numbers of photos and videos you can upload depend on the storage space of your iCloud. If you have never purchased the storage in iCloud, you will have 5GB for free use. 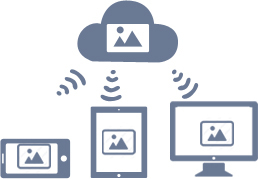 Note that iCloud allows you to download the photos from iCloud Photo Library if you want to keep them on your iPad. With AirDrop, you can share photos, videos, websites, locations, and more with people nearby with an Apple device, so you are able to transfer photos from iPhone to iPad with AirDrop. 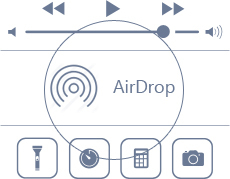 To start AirDrop, you need to swipe up from bottom on your iPhone, and turn on Wi-Fi and Bluetooth. Then tap AirDrop and choose Contacts Only or Everyone. Then you can select the photo in your Camera Roll and tap the share button at the left bottom. Then you can choose the AirDrop user nearby and share the photo easily. Dropbox is a cloud service app for iPhone, iPad and computers. So you are able to transfer photos from iPhone to iPad with Dropbox. 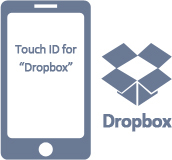 Firstly, you need to install Dropbox on both your iPhone and iPad, then register and log in Dropbox with same ID. Now you can upload photos from iPhone Camera Roll to Dropbox by tapping More Actions > Add Files, and then choose the photos in your iPhone Camera Roll and tap Upload. If you are using Dropbox for the first time, you’d better tap Create Folder before uploading files. Dropbox gives users 2GB for free use, so you can upload a lot of pictures and share them with iPad. An app for iPhone and iPad will help you to transfer pictures from iPhone to iPad, and the app is $2.99 now in the App Store. To use Wireless Transfer App for the photo transfer, you’ll need to install the app on both your iPhone and iPad and run it. Connect to the same Wi-Fi so that the app can automatically detect the devices which are using the same Wi-Fi connection. Tap the receive button on your iPad, then choose the name of the iPhone. Select the photos you want to transfer and then tap the Download button on your iPad. Then the app will start copying photos from iPhone to iPad. So, these methods are all helpful for transferring photos from iPhone to iPad. When you are going to copy photos from iPhone to iPad, just check these methods out.